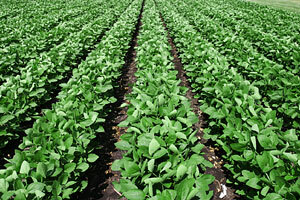 (X-L) Foliar stimulates yield and improves crop quality. It is a biological plant growth enhancer introduced through the plant's leaves. Foliar feeding tends to have quicker results versus our other methods or products. (X-L) Foliar aids the plant through growth stages. It improves the plant's resistance to various forms of stress such as temperature extremes, drought, and pest infestation which all contribute to less yield. Foliar uses microbial metabolites such as amino acids, organic acids, proteins, protein hydrolyzates, enzymes, growth promoters, and vitamins with complex chelated secondary micronutrients. (X-L) Foliar uses naturally produced compounds and leaves no harmful residues in plants, soil, or environment. Foliar is compatible with most fertilizers, fungicides and pesticides. Dilute Foliar with up to 4 parts water prior to mixing with other chemicals.